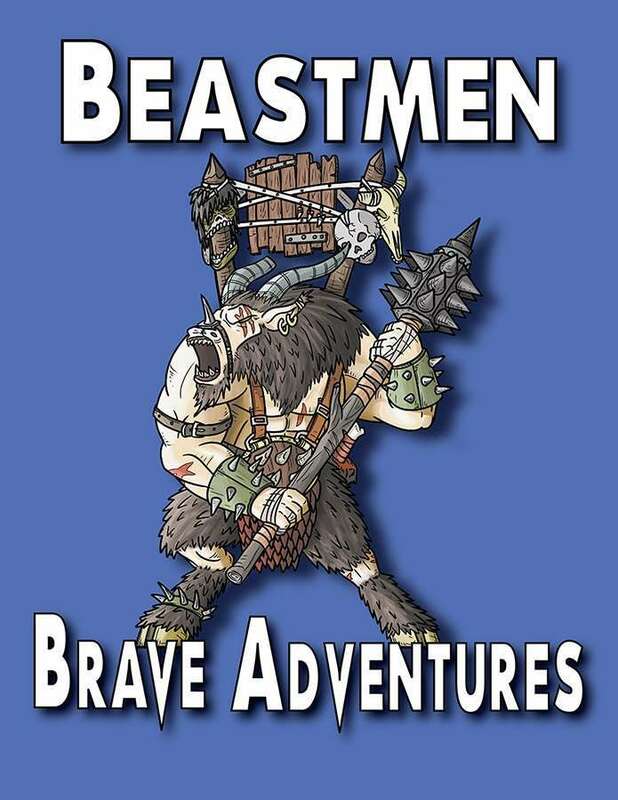 Brave Adventures Beastmen Warband set released! There are no news about the publication of this set. Eight really wonderful paper minis. Not much else to say. Yes! My Cultists are about to get some backup. Wow! Thanks Rhannon! You beat me to it! The set includes 8 miniatures with unique front and back art designed to be used with slotted paper bases. These miniatures are perfect for Table-Top Gamers on a budget and should work well with other miniatures in 28-32mm scales. This set includes cutfiles for automated cutting machines. The PDF includes regmarks on separate layers for Cameo and SD cutters. This set includes a simple-to-follow Cutting Tutorial with photos for people cutting by hand. You can find them at Brave Adventures and RPGNow! Gotta pic of the boars? Gaston drew the beastmen, the boars are by me. Could somebody tell me, how can to do this contour, outline? I mean to was comfortable when cutting. The two boars are mirrored, Ryan. Too bad! Cool set though and I've added it to my shopping list. Hi Pavaro, do you mean the black outline? I make a copy of the mini on a separate layer behind the art layer, convert it to a black silhouette and then use the stroke effect. I then rasterize it and clean it up if it needs it. Ooops! Wrong thread, and I can't seem to delete this! Haha, that's okay. Thanks for the bump! Wow, I bet your neighbours were real party animals! Yes. That's what I meant. Thanks for your help. I wonder how to make "edgy" outline to make it easier to cut. Probably, this effect is achieved with the cutting and not the creation of a stroke. Yes, I cut the examples by hand so the effect is probably just from how I cut it. I try to make the border thick enough so that you can cut through it comfortably without leaving any white.